‹ No, no, last one. For real real. 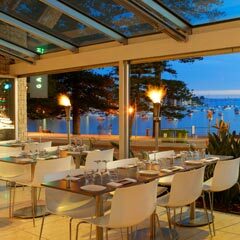 A few months back, Karen, Fuller and I went to a leisurely Sunday afternoon lunch at Garfish in Manly, and we liked it so much that we decided to go back Saturday night and bring my parents too. Who needs the real life view when it's showing on the plasma overhead? The verdict? Better as a lunch place. The seafood is beautiful and fresh, but the view and the breeze are just more enjoyable on a sunny afternoon. Highlights: my Hendricks Pink cocktail (Hendricks gin, maraschino liqueur, apple juice and fresh cucumber… amazing), our highly efficient server – from Florida, no less. Qualms: The plasma TVs that have a live feed of the horizon on the water. You can get the same view if you look past them… to the OCEAN. Bizarre. 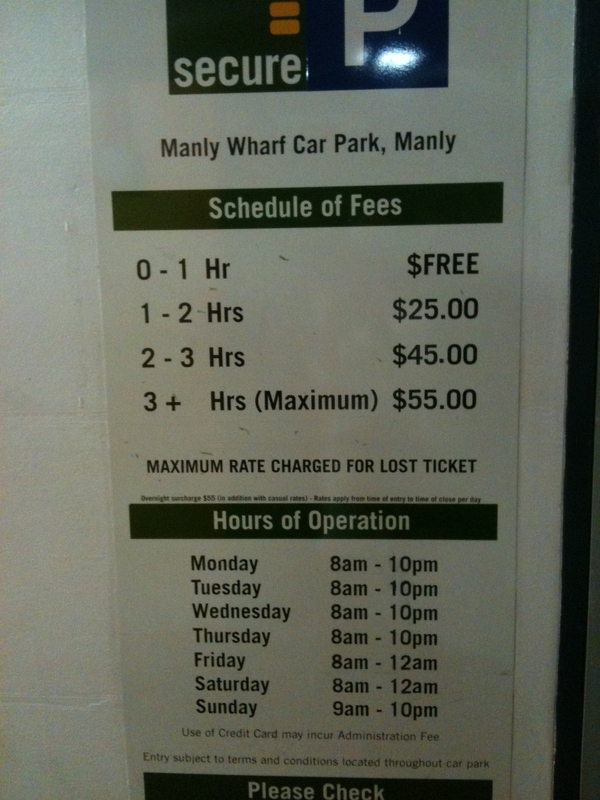 Parking in Manly makes me want to burn down a council building. Nothing like eating prawns at $12 apiece and then paying $55 FOR PARKING.